Passiflora subpeltata. 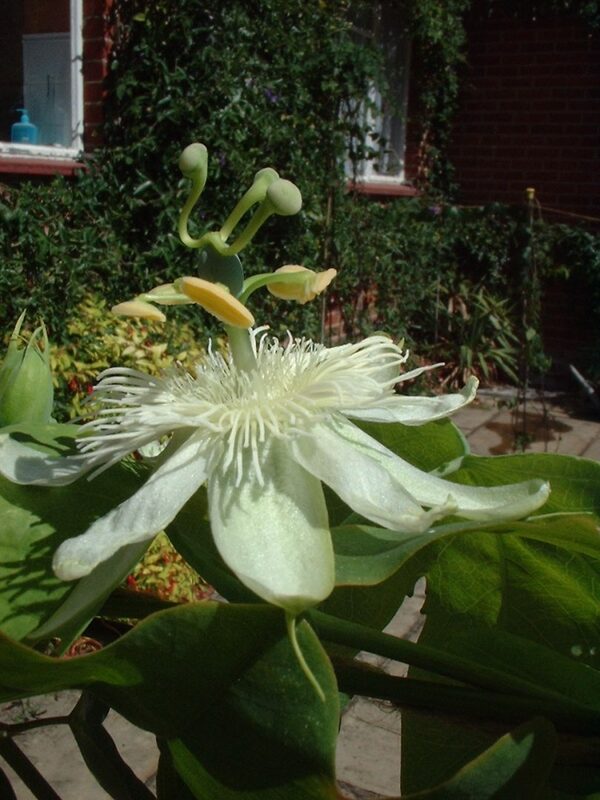 Attractive white flower similar to Passiflora ‘Constance Eliott’ but smaller. A native of Mexico, Central America and the more northern parts of South America but a weed in New South Wales, Australia. Known to be growing wild in California & curiously also found as an escaped ornamental in Zimbabwe, Africa. 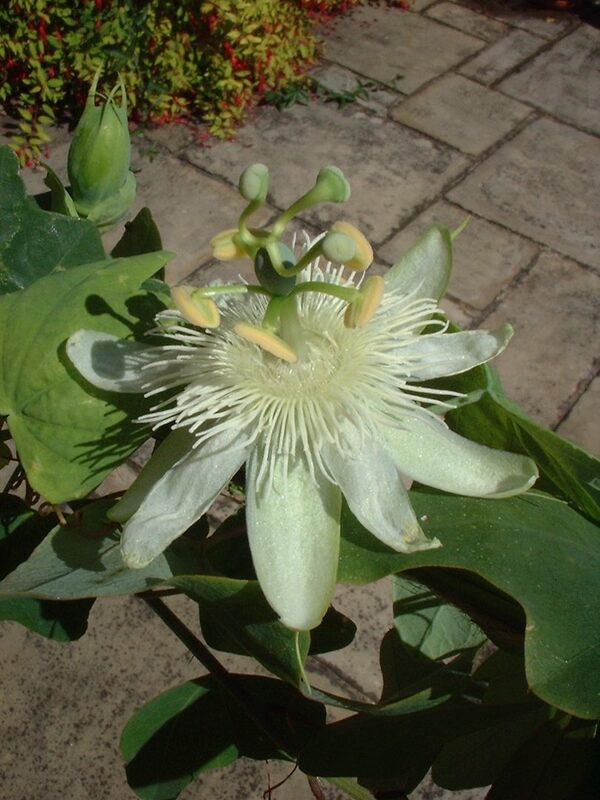 Passiflora subpeltata fruit are known for being very smelly when unripe, giving off a strong smell of cyanide. I have not noticed this, but the fruit were ripening in cold conditions. I carefully tasted this fully ripened fruit a few days after it had dropped from the plant. A rubbery acrid smell reminisiscent of P. kermesina fruit. Grim taste and probably toxic. 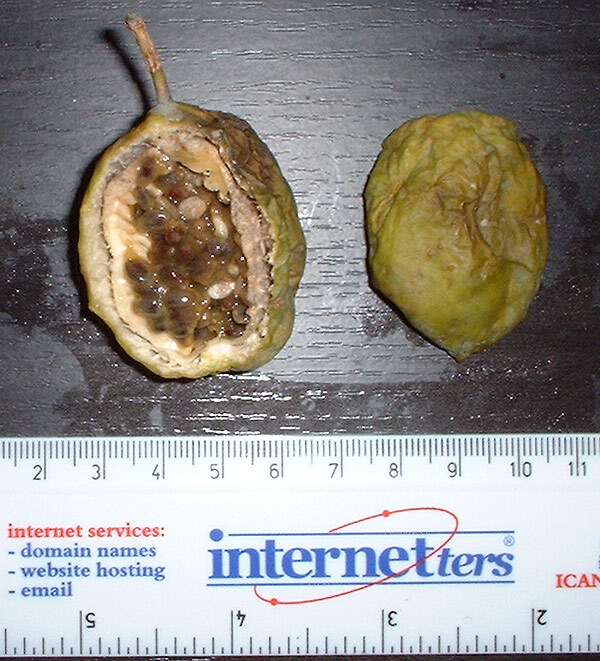 Note below the extraordinary construction of the fruit with the gap between the inner and outer layers filled with thin ‘ropes’ of pith suspending the inner sack containing the seed. What advantage could this give the fruit? It may have evolved in an enviroment where it has to make extra effort to avoid the fruit being eaten (hence overt cyanide smell) and also even if a small insect penetrated the outer skin it would not be tempted to proceed further as it would not have got the reward of the taste of sugars from the juice. So can we deduce that the threat comes from small insect predators rather than mammals which would simply bite into the whole fruit?